Through the halls of the North Gym among the sounds of sneakers squeaking on wood floors and amid the smell of locker room sweat the ‘Wounded Wizard’ maintains his commanding presence. 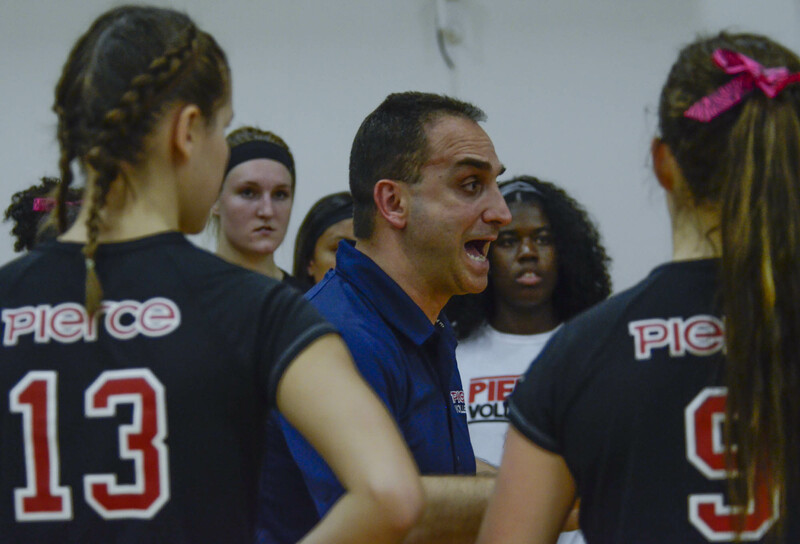 Coach of the women’s volleyball team Nabil Mardini, who has coached the Brahmas to three state championships, ruptured his Achilles’ heel on June 3. “The whole thing ruptured, just like Kobe. Basically the same injury, ” Mardini said. Mardini was treated by the same surgeon as Los Angeles Lakers Kobe Bryant, Dr. Neal Elattrache of the Kerlan Jobe Orthopedic Clinic. The injury occurred while Mardini was playing defense at an exhibition match. “It’s a very common injury amongst athletes, as you see on television,” Dr. Ellattrache said. Ellattrache explained that the injury is more frequent in athletes who are in their 30s and 40s. Achilles’ heel ruptures can occur when a player has their heel down and the calf is trying to project the body forward. In other words, when a player is propelling themselves forward, the muscle is stretched to its maximum. A reactionary movement, such as a sudden shift or change in the player’s direction, can cause the tendon to rupture. According to Dr. Ellattrache the average patient will recover within nine to ten months. Mardini has been receiving physical therapy from the clinic’s outpatient team. He may no longer wear the boot, but coach Mardini will definitely remember this injury. Mardini lifted his leg to display how his right heel hangs out the back of his blue sneakers. Although injured he continues to exhibit his passion for the sport, while maintaining his coaching schedule. His love for volleyball started as a youth in Lebanon. Mardini grew up playing volleyball and competing internationally with the Lebanese National Team. He also competed professionally with regional power Club Relevement Social Knat. His desire to play volleyball brought him to Los Angeles. Mardini won several awards. One of those awards was coach of the year. He has inspired the players to work hard and strive for greatness. Although Mardini’s injury has not effected his drive and dedication to coaching, some of the players, including Martinez, have noticed a slight difference in his coaching. For the past 14 years Mardini has been the coach of the Lady Brahmas. The team has maintained an 80 percent winning ratio during his tenure. Whether he is coaching from a chair or from the center line, Mardini is determined to overcome his injury and continue to lead the Brahmas to more victories.